Water. It’s a building block of all life, essential to public health, a basic human right. That’s why we at The Clorox Company believe in water for all — the theme of this year’s World Water Day on March 22. As a signatory to the United Nations Global Compact, a community of global leaders committed to sustainability, we believe in corporate responsibility. “Do the right thing” is a core Clorox value and at the heart of our commitment to Good Growth that’s profitable, sustainable and responsible. And passionate people across Clorox have been finding ways to use the power of our brands and technologies to help bring solutions and greater awareness to the problem of clean water. The Clorox brand has operated the Safe Water Project in South America since 2012, providing 25,000 people in rural Peru with access to safe water through bleach dispensers. Now, with our partner Evidence Action, we’re expanding our efforts to Africa, where we’re providing bleach to support safe water for 3.4 million people in Kenya and Uganda. The Brita Canada team is working with the NGO ME to WE to help even more Kenyans have easy access to clean water, transforming women’s lives and opportunities in the process. Brita Canada’s previous cause marketing efforts with ME to WE have already funded two boreholes in Kenya (shown in this super-cool 360-degree video), bringing potable water directly to two Kenyan villages. Following Hurricane Maria, the Clorox team in Puerto Rico even created a bleach “dropper frog” to give people a simple way to measure the recommended amount of bleach to purify untreated water. Each of these efforts builds on our 100+-year commitment to public health, which includes the transformative power of bleach to make water safe. That’s one reason it’s in high demand following so many natural disasters. 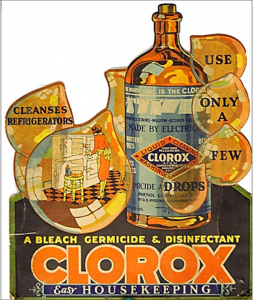 As a proud supporter of the American Red Cross Annual Disaster Giving Program, we regularly donate Clorox Regular-Bleach to aid in recovery. Bleach helps make water potable when boiling isn’t practical; just one capful of Clorox® Regular-Bleach in one gallon of water can treat cloudy water. In the lead-up to World Water Day, we’ll share more stories about Clorox people and brands working to give people access to safe, healthy water, so be sure to check back on the Good Growth blog. 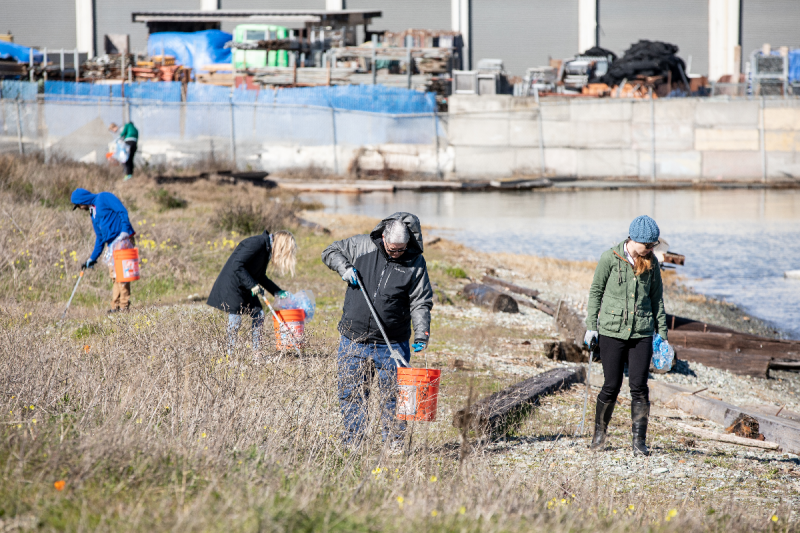 The Brita team doing a beach cleanup at Heron’s Head Park in San Francisco, living the brand’s purpose to make water better for people and the planet. 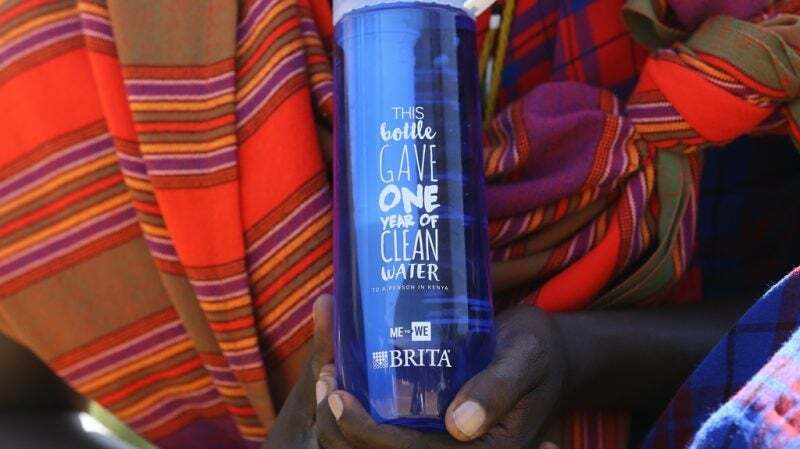 By buying this Brita bottle water bottle, Canadians help provide clean water to villagers in Kenya. 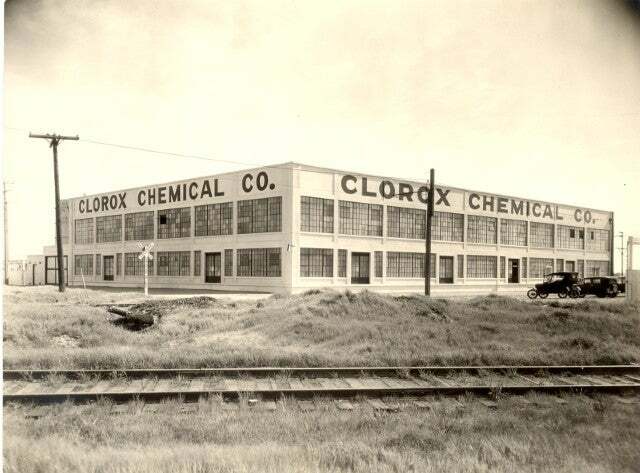 Our original Oakland manufacturing plant used brine from San Francisco Bay’s salt water ponds to begin commercial production of concentrated industrial-strength bleach.